Lathyrus vestitus, commonly called Sweet Wild Pea, is a member of the Fabaceae (pea family). This plant is considered endemic (a native) in California. 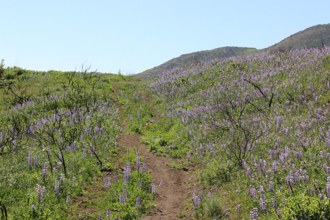 Wild Sweet Pea grows in chaparral and Oak woodland at elevations ranging from sea level to 1,500 meters. I saw these specimens in Upper Sycamore Canyon. This plant is quite similar to Spring Vetch (Vicia americana). Once this plant gets established, the chaparral pea rarely sprouts from seed instead it is likely to send up new stems from roots growing outward from the mother plant. It forms low, dense, thorny thickets of shiny dark green leaves. 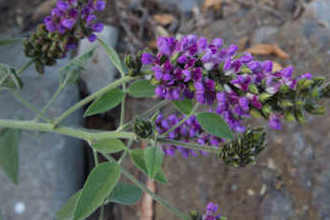 In spring and early summer the plant blooms in bright Pink to Lavendar flowers as well as produces pods containing pealike seeds. Bumblebees pollinate the flowers. Butterflies visit the flowers for their nectar, but do not pollinate. Some types of beetles and caterpillars aswell as some herbivores feed on the leaves. Apparently the seeds are quite poisonous if eaten in large quantities. This plant plays an important role in the chaparral community - particularly recently burned areas; its roots spread quickly and help anchor loose soil, preventing erosion. 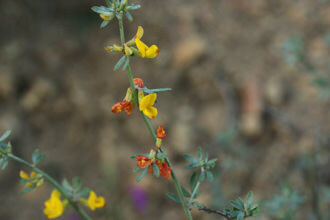 As a legume, Wild Pea and its nitrogen-fixing ability helps it thrive in rocky, sandy soil. Nitrogen fixing involves taking in Nitrogen gas, storing it in the roots and then releasing the nitrogen into the soil as the plant decomposes. This plant typically flowers from March to August. The shape of these flowers remind me of hummingbirds - see picture #1. 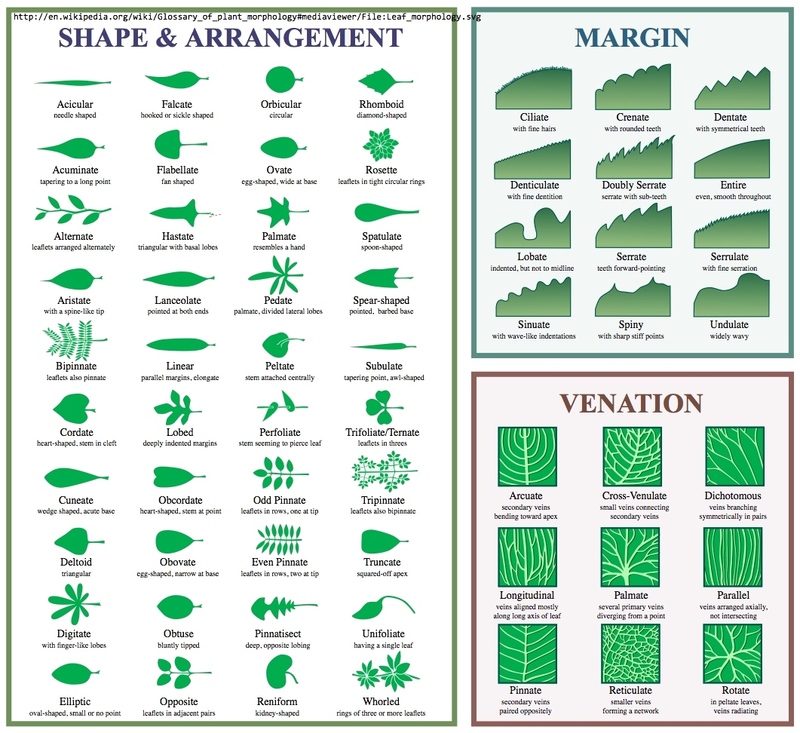 Some technical words about the leaf and flowers: Lathyrus latifolius has winged hairless stems, and alternating blue green compound leaves consisting of a single pair of leaflets and a winged petiole about 2 inches long. The leaflets are narrowly ovate or oblong-ovate, smooth along the margins, hairless and up to 3 inches long and 1 inch across. There are branched tendrils between the leaflets. Short racemes of 4 to 11 flowers are produced from the axils of the leaves. The flowers, which are unscented, are about ¾ to 1 inch across with a typical structure for Peas, with an upper standard and lower keel, enclosed by lateral petals. There are 5 petals, which are purplish pink, fading with age. There is a green calyx with 5 teeth, often unequal. At some point the flowers are replaced by hairless flattened seedpods, about 2 inch long and ½ inch wide, with several seeds inside. The seedpod, which is initially green, gradually turns brown, splitting open into curled segments, flinging out the seeds. The seeds are dark and oblong to sort of kidney-shaped. Last modified: March 31 2017 21:32:50.